The moment you are looking for an open source platform that can be highly user-friendly, search engine friendly with easy to use content management system, WordPress is the best choice. It came into popularity as a blogging platform. But slowly its ease, compatibility and better functionality made it a popular website development platform. Once you come to me for building a website or a blog I can guide to success. Theme designs: The design is one of the most important requirements of a website. In WordPress there are lots of themes available to be customized and make those fit for your business. Splendid looks can be designed through experts of WP after proper business nature analysis. Lots of functionality with plug-ins: If you want to build a website that can have great number of functionality without making things complex, then you have choose WP. There are lots of plug-ins which you can use to create sophisticated functionality. 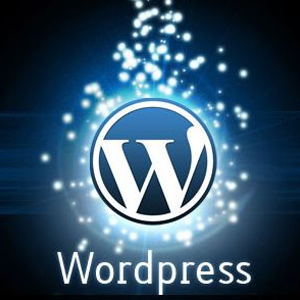 From 8000+ plug-ins you can download your suitable ones just going to wordpress.org. Easy to install & update: There are so many open source platform available but WP is one of the easiest to install and updating platforms. With simple file structure it can be installed fast. At the same time it has now auto update notification for which a simple mouse click can update the version. Flexible & secure structure: WordPress provides a great flexibility to include articles, comments, editorials, reviews, tips, drawings, giveaways, news and other components. At the same time its security level is pretty good to keep your site hacking free to an utmost level. Search engine friendly: The entire coding structure and self ping option of WP is search engine friendly. So any development with WP is always good for SEO (search engine visibility and ranking etc.). No more junk codes or heavier page load time that would make a website search engine unfriendly. Huge community backup: Every open source is backed by the community. It is WP that has one of the largest developers’ community to fix the issues, update the versions. So once you develop a site with WP then there is no need to worry at all. Well, there are hundreds of benefits of developing a website or blog with WordPress. You never have to take any tension regarding development of a WordPress site! You just need to consult one of the best freelance web developers. I have been providing professional freelance web design and development services to clients worldwide. You need only to contact me over phone or a mail. I am going to take all responsibility to offer you the best services within your time and budget limit.